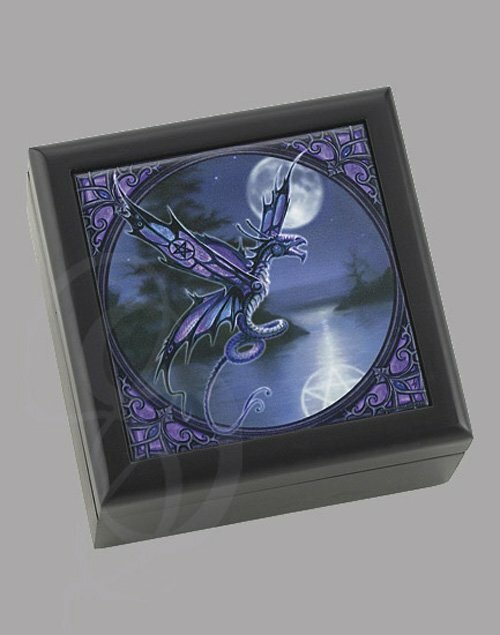 Anne Stokes Dragonfly Box. Wood Box with a Ceramic Tile on the Top Cover. 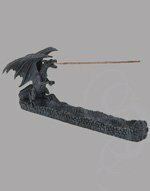 5 x 5 x 2 3/4 inches. The Treasure box opens on hinges.